Considered one of the most “walkable” neighborhoods in Atlanta, Morningside is considered a gem in the city for its beautiful tree-lined streets and gorgeous, historically rich architecture. Close proximity to commercial amenities also makes Morningside an in-demand neighborhood for buyers. Sitting just north of Virginia-Highland, Morningside homes for sale consist of numerous restored Craftsman and Tudor properties, new developments, and modern single-family homes. Discover the latest real estate listings in Morningside or continue reading to find out more about this historic neighborhood. Find the perfect home in Morningside faster when you register for an account with the John Bailey Realty team. Save your searches, unlock advanced search tools, and have listings that match your preferences sent straight to your inbox. As an upscale neighborhood in Atlanta, Morningside real estate includes numerous stunning historical properties. These renovated Tudor and Craftsman homes were originally built between 1918 and 1935. In addition to this, we see numerous modern high-end properties built in the past 20 years. Many historic homes have been renovated to feature modern amenities such as modern kitchens, spa-inspired bathrooms, and master suites with walk-in closets. These properties often include touches of the past in the form of wood finishings and traditionally inspired fixtures. Newer properties in the area still adhere to the same aesthetic of the neighborhood, while incorporating trendy features such as marble, exposed beams, home theaters, recreation rooms, and more. 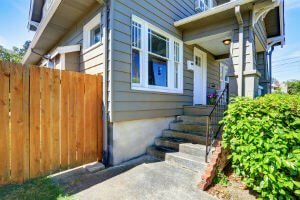 These properties are also accompanied by ample yard space and privacy, which is a desirable feature in the city. First founded in 1931, the area of Morningside throws it back to a simpler time. Many streets in the area are named after the founders and settlers, reminding residents of the rich history in the area. A quality commercial sector provides everything residents need in terms of shops and restaurants. Some of the most popular dining experiences in the area include farm-to-table cuisine at The Family Dog and the locally renowned Alon’s Bakery. Committed to health and wellness, the hilly streets in Morningside provide the perfect morning jogging route, while the Morningside Farmer’s Market provides exceptional certified organic products every Saturday, year round. Residents can enjoy the nearby Morningside Nature Reserve, including 30 acres of greenery with a walking trail. Morningside residents have access to some of the best public schools in the city including Morningside Elementary, Inman Middle School, and Grady High School. Quality private schools are also located nearby. The Daniel Johnson Nature Preserve is also close, offering numerous hiking trails and a beautiful forest. Locals are invested in a healthy lifestyle, enjoying time outside and participating in community gardens. The Morningside Lenox Park Association, promoting family fun and raising money for the community, holds local events such as the Monumental Ball and Celebration of Summer. To learn more about Morningside homes for sale or request a tour of a listing above, contact John Bailey Realty online or by phone at 770.484.7888 today!